International icon and humanitarian Pelé announced today that he is launching The Pelé Foundation, a new charitable endeavor that will benefit organizations around the world and their dedicated efforts to empower children, specifically around poverty and education. In its first year, The Pelé Foundation is partnering with Pencils of Promise and charity:water to fulfill the Foundation’s mission. 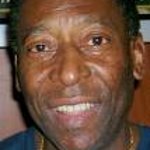 The Foundation announcement comes just a few months after the 2018 FIFA World Cup Russia, which marked the 60th anniversary of Pelé’s World Cup debut. The announcement also follows news earlier this year that MGG Investment Group, owner of the soccer star’s global intellectual property rights, had selected a new management team to lead all branding, marketing, philanthropic, and communications opportunities and initiatives for the soccer legend. The management team – including industry veteran Joe Fraga – retained WCPG to advise, manage and help create the Foundation.